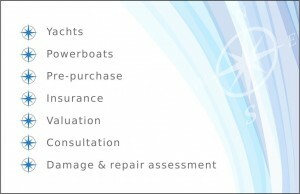 This type of survey is always very comprehensive , covering everything from the keel upwards , inspecting the overall condition of the vessel and its seaworthiness reliability and cosmetic condition, a prioritised list of possible work that is needing attention and pinpointing any problem areas to give a potential new owner peace of mind and help in a final decision , an insurance survey encompasses many of the parts of a pre purchase survey without looking into such detail regarding certain elements of the vessel . 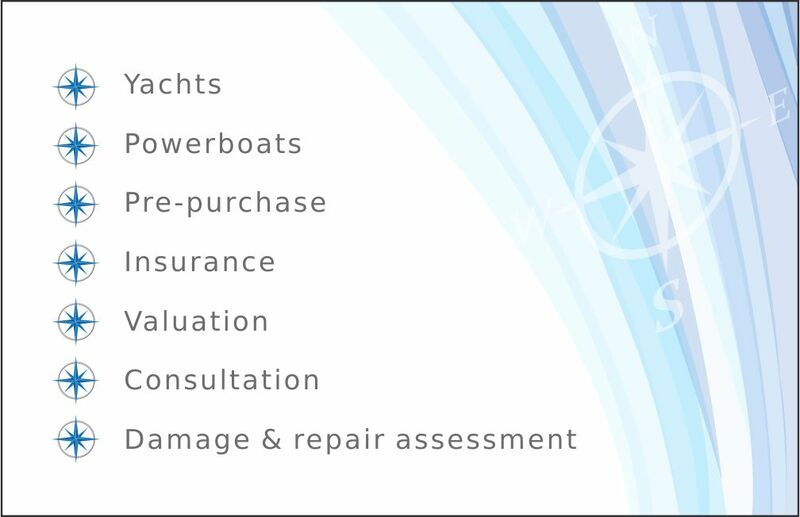 Insurance valuations should reflect the replacement cost of the vessel in the event of a total loss, and can be higher than the average selling price of similar vessels, when the boat is in above average condition or has above average equipment levels. Valuations for a marine mortgage are based on the value the craft would be expected to make if offered for resale of the vessel under current market conditions. The value is used by the lender when assessing security of the loan. We can provide an independent damage report, when the craft has been involved in an accident . Where an insurance company a surveyor or loss adjuster will be representing the interests of the insured. We can provide owners with a winter work list, by examining your boat and providing you with the information necessary to possibly upgrade as well as repair or general routine matters needing attention, routine maintenance keeps your boat safe and in good condition. Similar in many ways to a full survey inspection however any recommendations are for the owners use only . When a full condition survey is not thought necessary, a more limited hull and structural survey may be commissioned. new vessels often have many faults. We have been involved with new owners of a range of vessels that upon delivery from new have numerous faults some rarther serious We can produce a snag list pre-delivery so that any warranty issues can be addressed before you have taken delivery where issues can become very inconvenient.